1. Anderson’s is a vibrant part of my community. 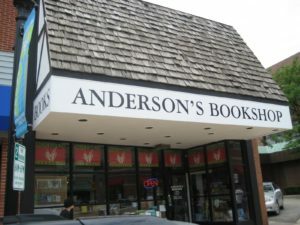 Anderson’s is among the Downers Grove stores that lets kids paint its windows at Halloween, and in the heyday of the Harry Potter books, Anderson’s owned Downers Grove with its own celebrated book-release parties. It’s also a community center. 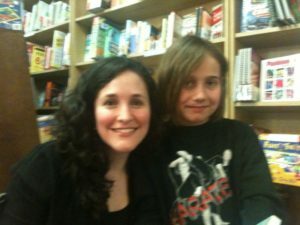 For instance, it’s a place where I go to meet internationally known authors in person — flesh-and-blood meetings where you can really sit down and talk with writers about what they do and how they do it. And it’s a gathering place in more informal ways. Just a few days ago my family bumped into two good friends, and we caught up with each other while our children plowed through books at our feet. 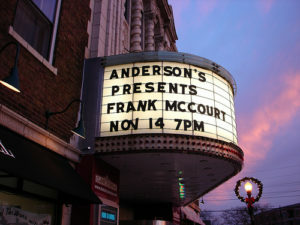 But Anderson’s does something else, too: its people get to know the community. To us, Anderson’s isn’t a faceless brand but warm people like Bridget, Carmel, Don, Griffith, Julia, Kathleen, the two Nancys, Norma, Patricia, and Ryan, who suggest new books for our family both in the store or if we see one of them while we’re running errands at Target. Or they compliment my wife when they hear about one of her short stories being published in a literary anthology. Sure, you can get book recommendations from Amazon, but you don’t have conversations with real people who understand you, talk with you, ask about your family, and offer a cup of hot chocolate on a cold winter day. 2. Anderson’s isn’t just the store for me; it’s a home for my entire family. As my wife and I can attest, Anderson’s has become my daughter’s playground. There are places with bigger inventories of kids’ books. But Anderson’s is not a hardware store with inventory; the kids’ section is a comfortable little nook where my daughter has grown up — by playing with a Thomas the Tank Engine track that snakes its way through one corner of the store (when she was younger) and by diving through a pile of books provided by the staff, with no pressure to buy anything or leave at anytime. 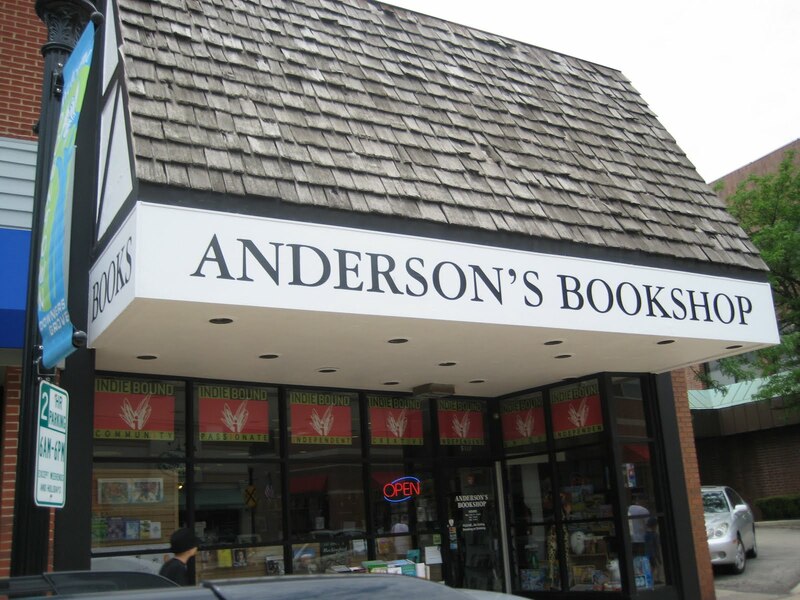 Some day after my daughter has moved on, my wife and I will remember Anderson’s as a place where we grew up together and discovered the world — all of us, sitting on the floor, getting to know different sides of our daughter through her books. I tell this story not just for sentimental reasons but commercial ones, as well. At a time when marketing experts preach the need to relate to “me” in a personal way, Anderson’s includes my extended me — my family –and at all stages of our lives. We’re an interconnected team influencing each other’s purchases and providing more revenue to Anderson’s as well because Anderson’s makes all of us feel welcome. “But wait a minute,” you might be saying. “There’s nothing special about Anderson’s. I know lots of bookstores like that.” Well, do you? Please speak up about them. Unless you patronize them and share your experiences with others, your favorite store might not be there next time you visit. Meantime, learn more about Anderson’s on Facebook. This entry was posted in Uncategorized and tagged Amazon.com, Anderson's, e-books, Facebook, Harry Potter, Kindle. Bookmark the permalink.